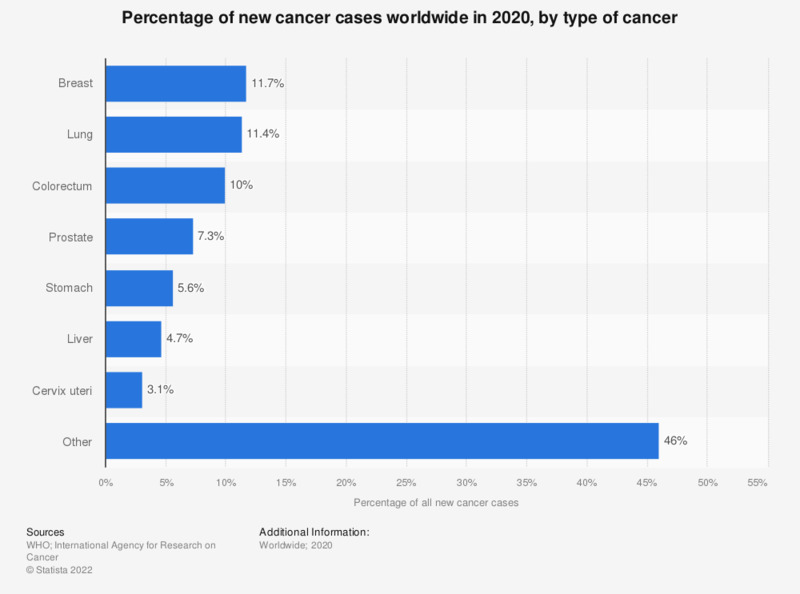 This statistic depicts the percentual distribution of new cancer cases worldwide in 2012, sorted by type of cancer. In that year, lung cancer was the most prevalent cancer type among all new cases. Some 13 percent of all new cancer cases worldwide was cancer concerning the lung. * All figures are estimates. The figures exclude non-melanoma skin cancer.